I hope you all are enjoying my guests as much as I am! Today I give you Lauren! She is so chic and effortless, structured but in a fun, not-at-all-boring way. And on top of all this, she is so very sweet and is great about interacting with her readers - this is such a huge plus for me and bloggers I follow. Please check her out if she's not already in your blog feed! The mic is all yours, Lauren! Firstly, thank you SO much Carylee for having me!! Hope you are having a wonderful getaway. I'm so happy to be here today. 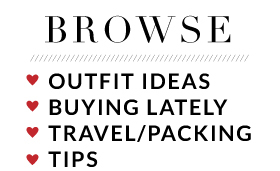 My name is Lauren and I blog over at Style of One's Own. 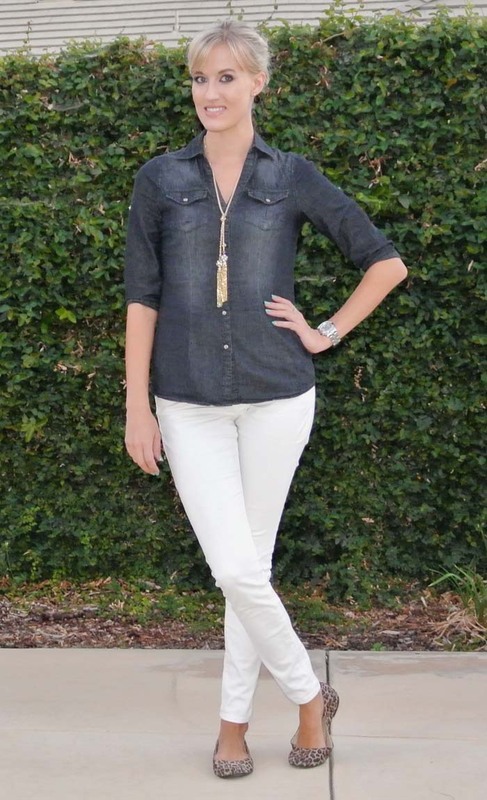 Today I thought I would share one of my favorite go-to casual outfits for early fall. Yes I'm totally breaking the 'no white after Labor Day rule'. There is some debate over whether that rule is outdated or not. I say wear what makes you happy! And chambray and white is definitely a combination that makes me happy. It's easy but classic. 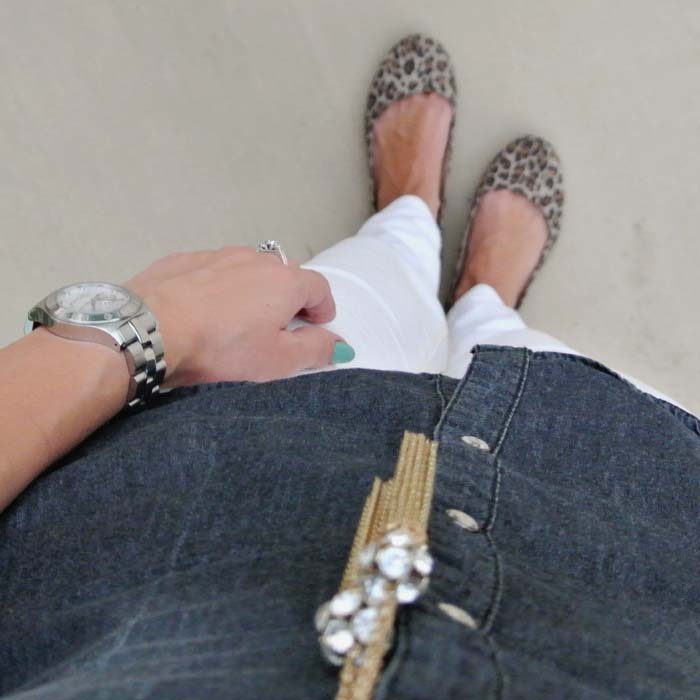 The tassel necklace and leopard flats add some fun interest to the outfit. Thanks again for letting me share today, Carylee! I love my white pants ALWAYS. Also, I have those Target flats, and they are the best ever! Wish I had thought to buy multiples when they were more readily available. I LOVE a good tassel necklace! The flats look great too; I just tried those on last night. 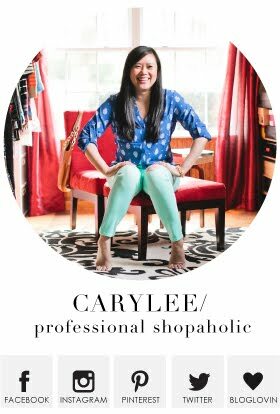 Thanks so much again for the feature, Carylee! Hope you are enjoying your vacation! Oh, it was my pleasure! I was so so happy to see all the guest posts go live! Vacation was great, but dang, it goes fast!